January 7th, 2013. Coaches Across Continents have already received community partnership applications from programs in 34 countries for our successful Hat-Trick Initiative program 2013. Partnership requests from countries like Papua New Guinea, Yemen, Cape Verde, Indonesia, India, DRC, Mali and Nepal show the real global power of football for Social Impact. “It’s a credit to the local programs throughout the world who are using football to make changes within their communities and requesting partnerships with CAC. Our Coach Advisory Board face a number of incredibly difficult decisions choosing community partners for 2013. ” Brian Suskiewicz, Coaches Across Continents On Field Strategist. 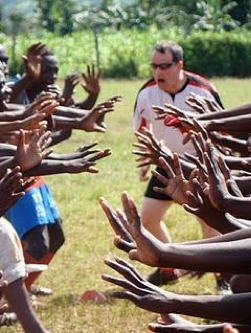 Communities have until February 28th, 2013 to submit their partnership applications to Coaches Across Continents. Previous: Our Last Program is Positively Different – It’s Netball Time! Next: Meet the Coaches – Haiti Edition!